Ogniem i Mieczem - By Fire and Sword • View topic - Historical paintings of Pancerni? Post subject: Historical paintings of Pancerni? As the title states: Does anyone know some historical/period paintings of pancerni? Post subject: Re: Historical paintings of Pancerni? No, BL, I don't. I referenced mine when I came across a Polish vendor on line that sold re-enactment arms, armor and dress. I Googled it. The rest was from Osprey. Good hunting. Well i wonder if pancerni chainmal was as tight fitted as in medieval sources (Macieowski bible) or as loose fitting as many modern reconstructions. Maybe this will help a little bit? No, no, no. No re-enactment for this old man. Just thought it would be good research. Interesting. Particularly the Wikipedia picture. 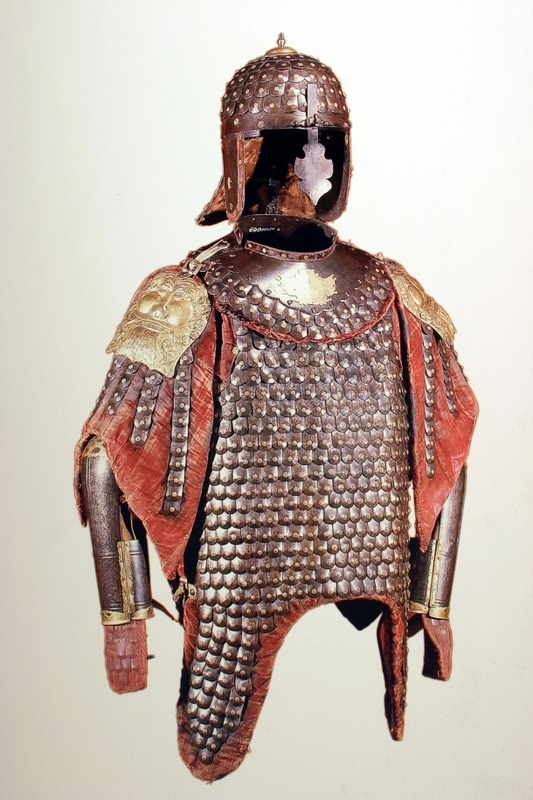 I have read that under the misiurka you would wear a padded cap so that the chainmail wouldn't cover the eyes. But with this example the padded cap would be pretty high I also wonder what to wear under the chainmail? The round buttons of the usual zupan would surely be a hindrance. I`m also looking for a source of some nice karwasze. Last edited by BlackLegion on Sat Apr 23, 2016 1:05 am, edited 1 time in total. I also wonder what to wear under the chainmail? I`m also looking for a source of some nice karwarze. Soon I will get a misiurka, a gorget and a pair of karwasze. Still looking for a suitable chainmail skirt and what to wear under it. Hmmm.